1. Who or what influenced you to apply to Syracuse University? 2. Who is the person you dream of becoming and how do you believe Syracuse University can help you achieve this? 3. If you have had work experience, what skills and/or knowledge did you gain? 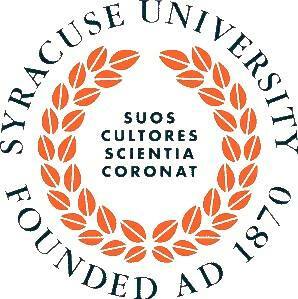 FOR TRANSFER APPLICANTS ONLY: Tell the Admissions Committee about your college experience and interest in transferring to Syracuse University if you have not already done so in your personal essay.